Have you seen Van Gogh and Gauguin sitting at the same table? Or people being used as live chess pieces on a large field? This is a collection of photos whose historical value is indisputable. Anyone who casts a look at them will be able to witness the important events that they reflect. Bright Side has gathered a few photos that will give you lots of emotions. We have also prepared a bonus with a warm and fascinating story that will definitely tug at your heartstrings. 25. Princess Elizabeth inspects a guard of honor by the Women’s Royal Army Corps at the Royal Agricultural Society’s show in Shrewsbury, England, 1949. 24. Albanian refugees disembarking in the Italian port of Bari on August 8, 1991. 23. A German soldier held prisoner returns to his home only to find rubble, 1947. 22. A young Ann Lockley holds a tea party with a baby hawk and spiny lobster on the island of Skokholm off the coast of Wales, 1938. 21. Pelé takes a break during the filming of Escape to Victory, 1981. 20. Cow shoes used by moonshiners in the Prohibition days to disguise their footprints, 1924. 19. The destroyed Porsche 550 Spyder after the crash that killed James Dean, 1955. 18. Stevie Wonder visiting a children’s school for the blind in London, California, 1970. 17. Eddie “The Eagle” Edwards soars above a roaring crowd at the 1988 Calgary Winter Olympics. 16. Residents of West Berlin show children to their grandparents who reside on the eastern side, 1961. 15. 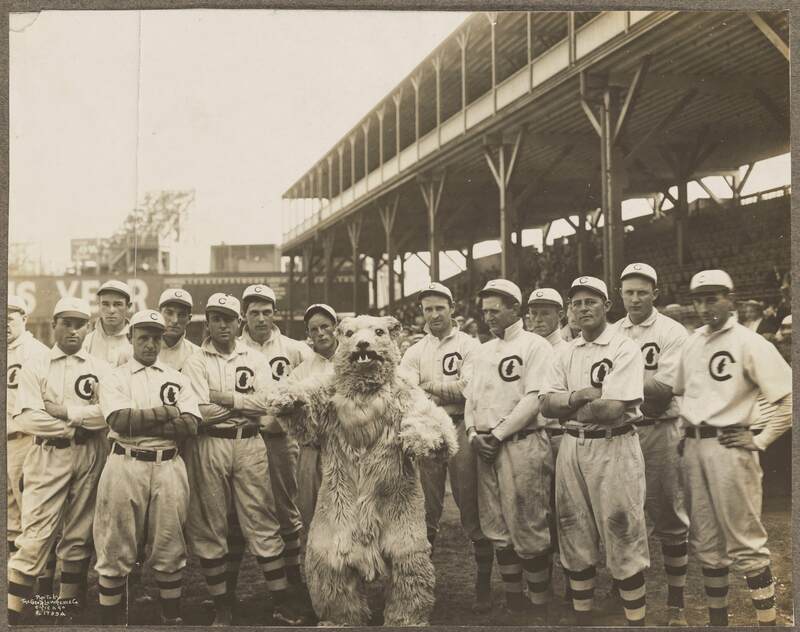 Chicago Cubs team with their new mascot, Chicago, Illinois, 1908. 14. Russian soldiers celebrating during the First Chechen War, 1995. 13. The USS Macon airship being built, 1932. 12. A game of chess, St. Petersburg, Russia, 1924. 11. A boy amid the ruins of a London bookshop following an air raid on October 8, 1940. 10. Belfast, Northern Ireland, 1980. 8. The Empire State Building ablaze after a B-25 bomber crashed into it in thick fog over New York City on July 28, 1945. 7. Delivering bread during the Irish Civil War, 1920s. 6. Leonard Bernstein at Carnegie Hall, 1946. 5. Motorized roller-skate salesman in California, 1961. 4. Vincent van Gogh (third from the left) and Paul Gauguin (far right) drinking in the company of fellow post-impressionist painters. Paris, 1887. 3. A Croatian soldier and his beloved saying farewell to each other, 1995. 2. Jane Fonda posing during the filming of Barbarella, 1967. Bonus: A daring escape from East Berlin, 1963. On 5 May 1963, a 20-year-old Austrian, Heinz Meixner, drove to a checkpoint on the Eastern side of Berlin in an Austin-Healey sports car with the windshield removed. Huddled in the back seat was his girlfriend Margarete Thurau who had been denied exit by the GDR authorities. Her mother was in the trunk. When the guard motioned him on to the customs shed, he gunned the motor and ducked. Passing the startled guards, the low car slipped under one of the steel beams separating the two parts of the city and made it to the West without a hitch. Which of the photographs surprised you the most? Share your thoughts in the comments!